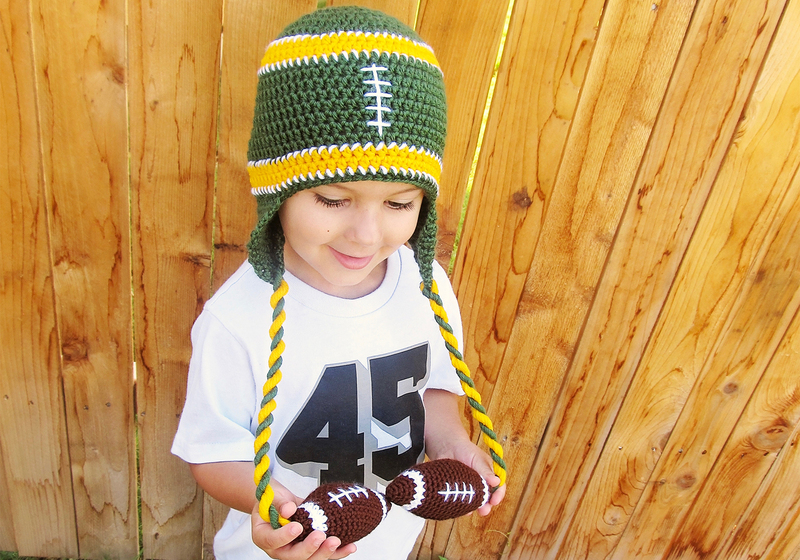 Create this original football hat to match your favorite team! 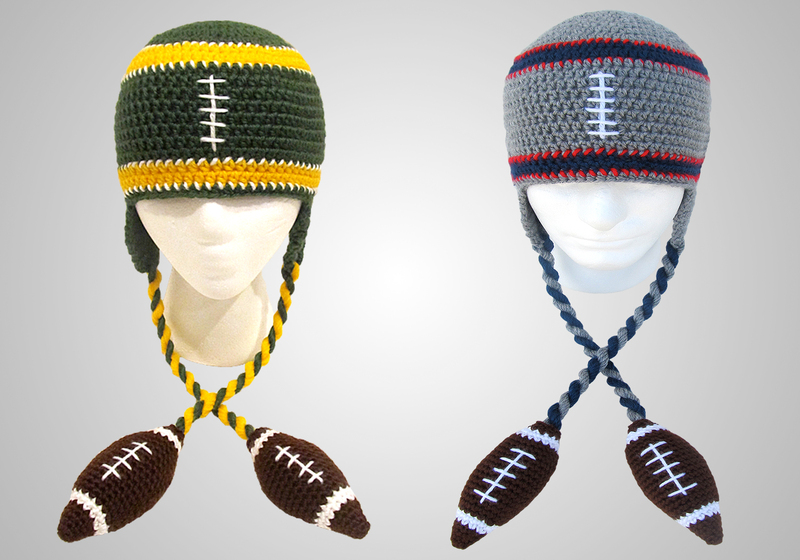 Perfect for football season and winter season to keep you warm. 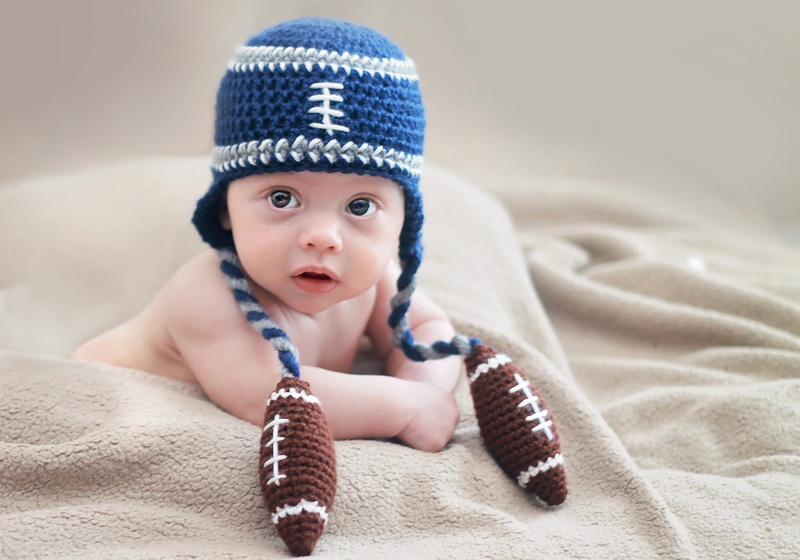 Rep your favorite team in style! This pattern is very detailed and includes pictures to help explain. With these detailed instructions, even those with little crochet experience can find success creating their own masterpiece! Skills: Single crochet, half double crochet, slip stitch, working in rounds, increasing, decreasing & basic sewing. Hooks: You will need a 4 mm (G), 5 mm & (I) hook IF YOUR GAUGE MATCHES MINE! I used Caron Simply Soft Yarn. 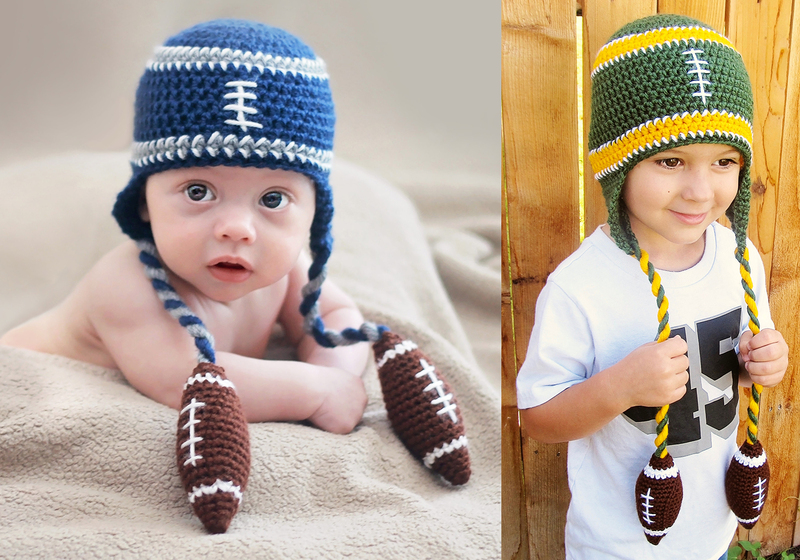 You will need 1 ball for main color,stitching color, and football end colors. Impeccable Brights Yarn- You will need 1 ball for secondary color.